Poznan Hussars at the Arena! On Sunday the 7th of February 2010 in the Arena hall, the basketball team PBG Basket Poznan played against Stal Stalowa Wola as part of PLK. During half-time there was a possibility to watch a show prepared by the Poznan Hussars. The purpose of this event was to introduce the fastest game on two feet to gathered fans. We explained the rules as well as showed how the game looks like in reality. 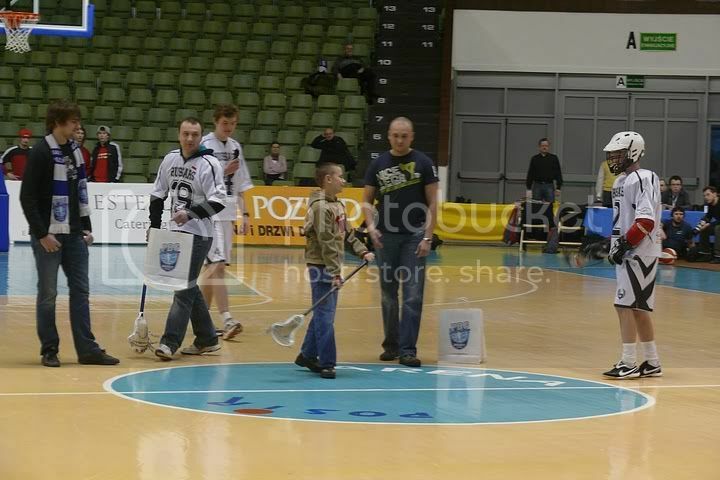 At the end of the presentation, a few lucky fans took part in a lacrosse competition with prizes. After the show, the players handed out leaflets and answered questions. The game ended with the highest win of PBG Basket in the season.